Manufactured from acrylic stone, this designer basin has a slightly deep bowl which incorporates a slight curve at the front and a small lip around the bottom edge for wheelchair users to use to pull themselves nearer the basin. 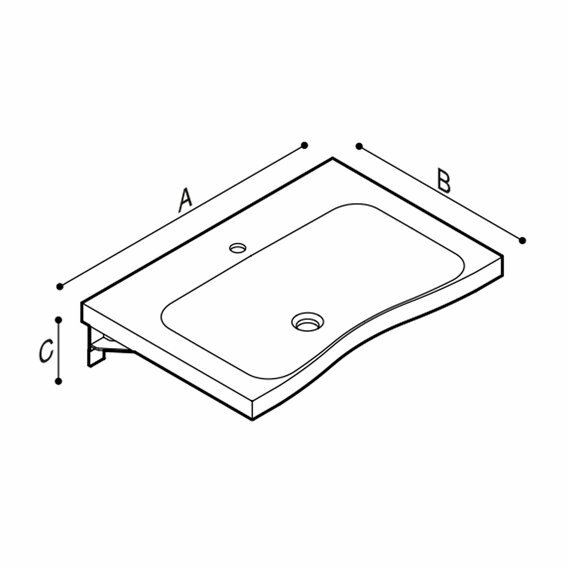 The basin is supported by a strong steel bracket which is powder coated for durability. There is no overflow with this basin, but it can be added if required. A choice of chrome or white solid surface cap finishes are available for the plug.